We started Penang Mama Choir about 2 years ago. We have been active on and off. 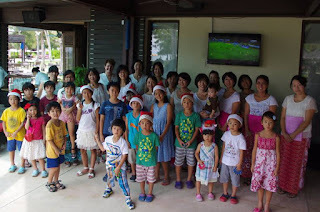 We've performed at IWA Christmas bazaar last month, and we had another Chrismasy performance with our kids at Golden Sands Resort. For the first time, we received some money gift. We partially donated to Tenaganita.